The elegant, mahogany finish adorning this handcrafted end table is an example of the many beautiful finishes available at Jorge Kurczyn Furniture. 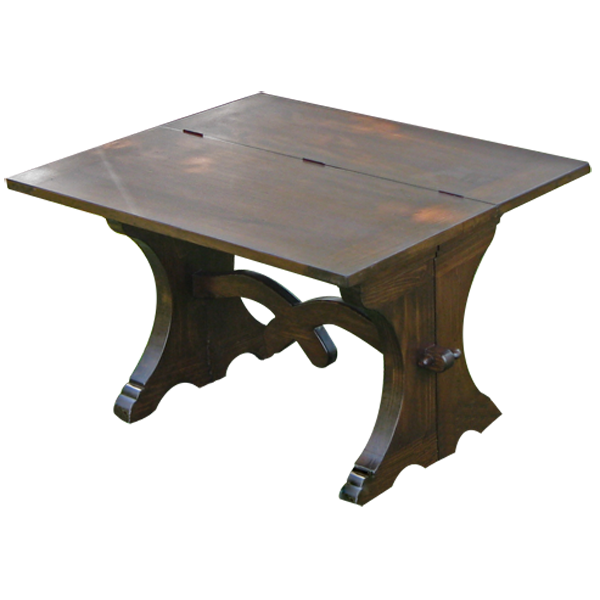 The end table has a wide, rectangular table top with a foldable hinge section. The foldable top provides options when you do not need the entire table top. The top rest on wide, curved legs, which are connected by an interlacing, curved, center stretcher. This durable end table is made with the best, sustainable, solid wood available, and it is 100% customizable.